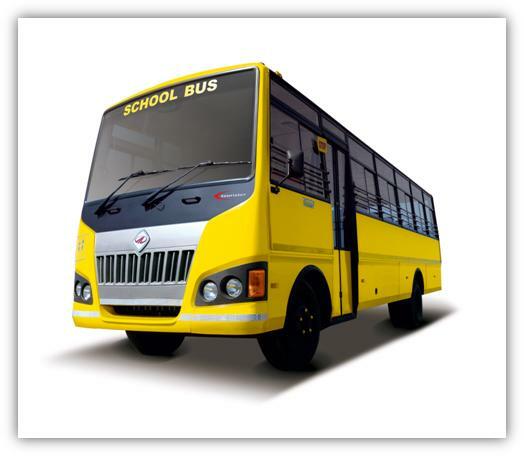 Mahindra Truck and Bus : Precautions that should be taken by bus managers when the bus is filled with children, on school picnics, etc. Precautions that should be taken by bus managers when the bus is filled with children, on school picnics, etc. Children are the future of the country. So many innocent lives are lost during school bus accidents that occur due to rash and unsafe driving of the bus drivers. And major of them happen due to the improper management and maintenance of the bus contractors. For a country like India, the transport system for these kids is very miserable. School bus starts with you, every morning and every afternoon. Take a few minutes to make sure that all of us understand the rules of the road. Display the school bus sign when in use – To inform the nearby cars of the school bus. Discourage speeding. – Bus drivers should know that there is no need to drive fast and endanger the lives of the children. Children need to be seated immediately upon entering the bus. They should not stand or move from place to place while the bus is in motion. Bus drivers should know that there is no need to speed and risk the lives of the children. It is good to ensure that windows and doors are to be opened or closed only with the permission of the bus driver. If allowed, windows should only be opened to the indicated safety line. There should be no indecent conduct or loud, disruptive or profane use of language. Your kids' favorite outfit may not always be the safest. Laces can catch in school bus doors, playground equipment, and escalators. Take proper care that the laces and strings are properly attached. By following these simple rules, you can keep your kids safe even before they get on the bus. It is always good to give tips to the drivers by their contractors, as it will help them to ensure safety measures both on & off the road. We can always change the wrong things. And it is our duty as a nation to provide better facilities to the future of this country.